Ubuntu Enterprise Cloud (UEC) will now be known as Ubuntu Cloud and powering Ubuntu Cloud by default will now be OpenStack; however, Euclyptus will still be available. Additional Williamson announced the inclusion of Ensemble and Orchestra. According to Williamson, Ubuntu Server's success strategy will be a single mission to be the best operating system (OS) for the cloud (to run in the cloud and support a cloud) and will require a solid plan and precise execution to meet this goal. Including Orchestra, which will provide control for large scale cloud deployments, and Ensemble, which will provide service orchestration and deployment in the cloud, will help Ubuntu Cloud reach these goals. Williamson also stated that he and his team look forward to these goals becoming reality in the 12.04 LTS release of Ubuntu. Williamson ended his session with the concept of connection and pointed out that the "Ubuntu Desktop and Server are stronger together, than they are apart." 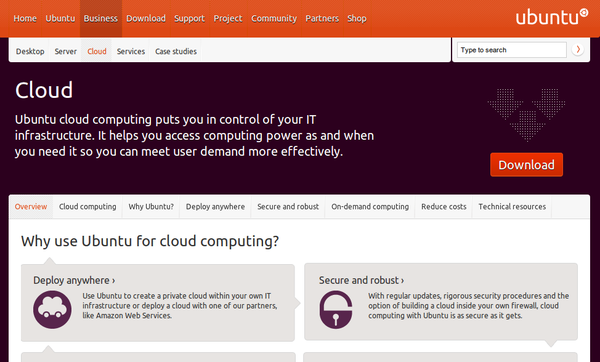 Learn About Ubuntu Server on the Cloud During the Ubuntu Cloud Days Event This Week! The Ubuntu Developer Summit for the Oneiric Ocelot (Ubuntu 11.10) development cycle (UDS-O) will take place on May 9-13, 2011 at the Corinthia Grand Hotel Royal, Budapest Hungary.